Seeing as we live in quite threatening times, there should be little wonder why people overreact when, say, a bomb threat is announced. 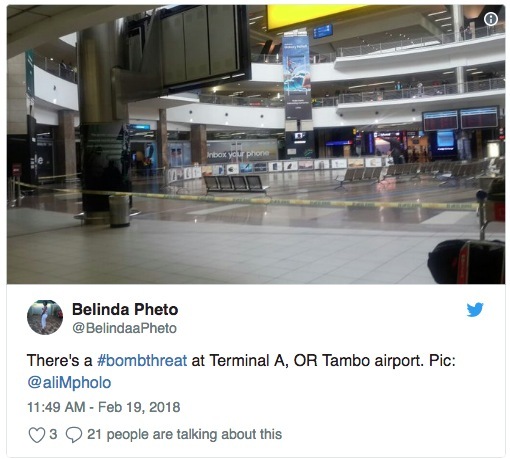 “What happened was there was an unattended bag found in a terminal building and [the matter] is now being handled by the SA Police,” airport spokesperson Leigh Gunkel-Keuler [said]. She said the scene was evacuated out of precaution. 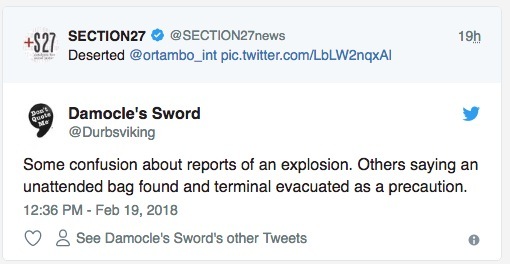 [T]ravellers were not given any information about what was happening, although those in the airport lounges were briefed 20 minutes before they were meant to evacuate. Sheesh, talk about looking after your top dogs and bugger the rest. 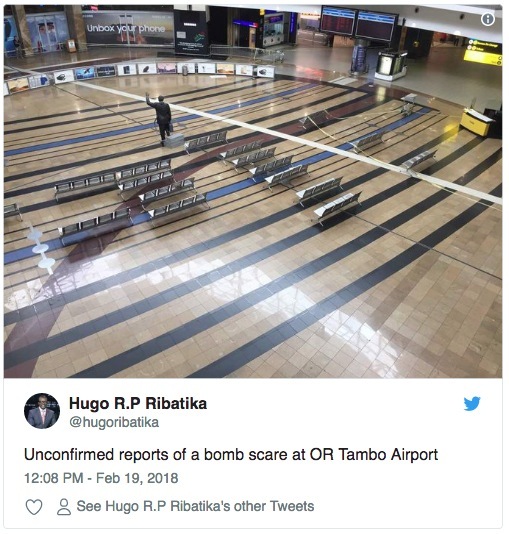 Airport spokesperson Leigh Gunkel-Keuler said that when the bag was spotted‚ the airport’s canine unit and the South African Police Service (SAPS) were called in to investigate. 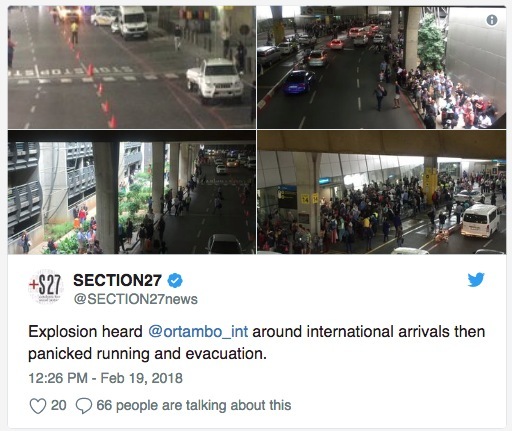 “As part of the safety protocol and to ensure the safety of passengers and customers in the airport terminal building‚ people were evacuated from the area. 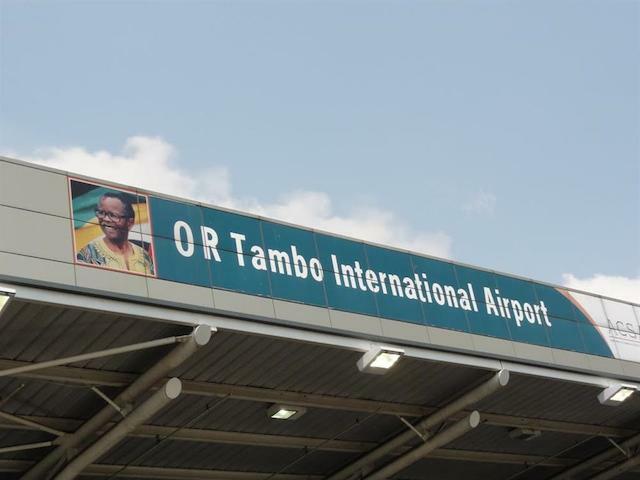 “The SAPS has now provided airport management with the assurance that passengers and customers can now return to the airport terminal building‚” said Gunkel-Keuler. “From an airport operations perspective‚ we have returned to normal. However‚ we do anticipate some flight delays as a result of the evacuation. We apologise to clients‚ passengers‚ retail concessionaires and all other stakeholders for the inconvenience and ask that they plan accordingly‚” Gunkel-Keuler added. 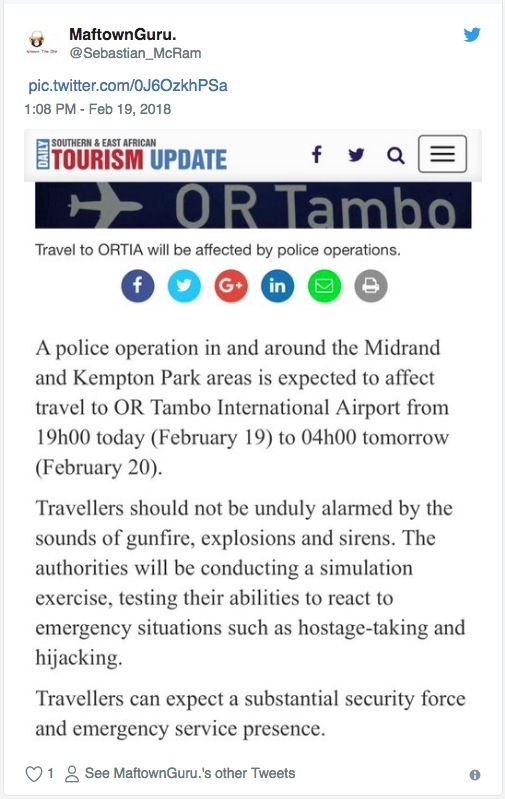 According to a report by the Kempton Express‚ police were expected to simulate a real-life scenario of a train hijacking and hostage situation at the Rhodesfield Station‚ OR Tambo International Airport and Pan African Parliament in Midrand on Monday evening. It said the exercise was expected to start at around 7pm and last until 4am on Tuesday.